February is Black History Month and that history is intimately linked with surveillance by the federal government in the name of “national security.” Indeed, the history of surveillance in the African-American community plays an important role in the debate around spying today and in the calls for a congressional investigation into that surveillance. Days after the first NSA leaks emerged last June,EFF called for a new Church Committee. We mentioned that Dr. Martin Luther King, Jr., was one of the targets of the very surveillance that eventually led to the formation of the first Church Committee. This Black History Month, we should remember the many African-American activists who were targeted by intelligence agencies. Their stories serve as cautionary tales for the expanding surveillance state. Government surveillance programs, most infamously the FBI’s “COINTELPRO”, targeted Black Americans fighting against segregation and structural racism in the 1950s and 60s. COINTELPRO,short for Counter Intelligence Program, was started in 1956 by the FBI and continued until 1971. The program was a systemic attempt to infiltrate, spy on, and disrupt activists in the name of “national security.” While it initially focused on the Communist Party, in the 1960s its focus expanded to include a wide swathe of activists, with a strong focus on the Black Panther Party and civil rights leaders such as Dr. Martin Luther King, Jr. 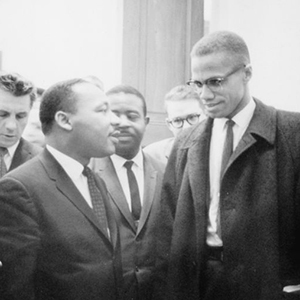 The FBI subjected Dr. King to a variety of tactics, including bugging his hotel rooms, photographic surveillance, and physical observation of King’s movements by FBI agents. The FBI’s actions went beyond spying on Dr. King, however. Using information gained from that surveillance, the FBI sent him anonymous letters attempting to “blackmail him into suicide.” The agency also attempted to break up his marriage by sending selectively edited “personal moments he shared with friends and women” to his wife. The Church Committee was created in response to these and other public scandals, and was charged with getting to the bottom of the government’s surveillance overreach. In response to its findings, Congress passed new laws to provide privacy safeguards, including the Foreign Intelligence Surveillance Act. But ever since these safeguards were put in place, the intelligence community has tried to weaken or operate around them. The NSA revelations show the urgent need to reform the laws governing surveillance and to rein in the intelligence community.